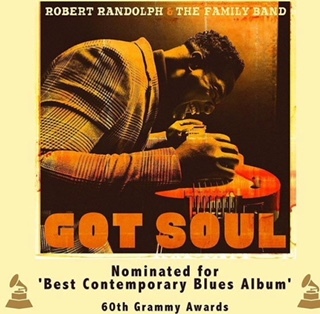 SK co-writes title track of Grammy Nominated Robert Randolph record, “Got Soul”! Congratulations to Robert Randolph on the Grammy nomination! Stephen & Robert wrote the first single and title track, "Got Soul" together, and have written a half dozen contenders for Robert's follow up album since. SK says "He brings soul to the words from the depths of his own. A persons art isn't always recognized and that's just how things go, but when it is, it's really nice."